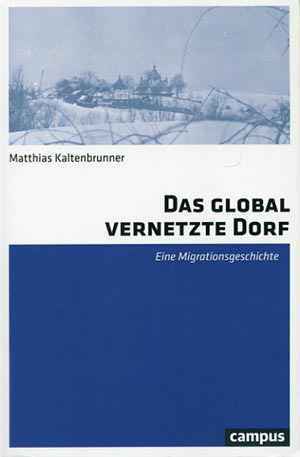 Matthias Kaltenbrunner’s study comes in the wake of significant globally-oriented contributions to Eastern European migration history, including the 2016 books by Tara Zahra and Ulf Brunnbauer . The author’s 2015 thesis was supervised and reviewed by leading historians of Eastern Europe and Ukraine, with Kaltenbrunner receiving Austria’s highest award for educational attainment, Promotio sub auspiciis Praesidentis rei publicae. The reviewer thus faces an intimidating task: can the publication be read without reflecting upon the dissertation? Unlike Germany, there is no obligation to publish theses in Austria, thus the work is considered here as a book. While the thesis’ subtitle, “Migrationsprozesse und ihre Auswirkungen am Beispiel von sechs Dörfern in der Westukraine im 20. Jahrhundert” (Migration processes and their impact illustrated in case studies of six villages in Western Ukraine in the twentieth century), makes the focus on Sniatyn district obvious, the new version suggests universal aspirations. This longue-durée study of migration employs an impressive range of written sources – memoirs, letters, diaries, literary works and official archives, including secret police materials – and recent oral history interviews. Following methodological and historical introductions, the empirical chapters begin with the intense period of migration of families from Austrian-controlled Galicia to Canadian prairie homesteads between 1898 and 1902 (chapter 3) and conclude with brief reflections on “post-Soviet” migration from Ukraine to southern and central Europe (chapter 10). The narrative thus proceeds largely chronologically, exploring kinship networks and trust networks as reflections of family and community life that also shape migration patterns. The book traces how kinship networks were constructed and maintained, and by whom, or why they faded, over the twentieth century. Chapter 3 describes vividly how trusted “visionaries and agents” (p. 91) encouraged families – with sufficient capital – to move to Canada, overcoming wariness caused by difficult migration experiences to Brazil. Kinship networks encouraged others to follow, usually individually (chapter 5), while diasporic political formations influenced interwar migration patterns, including returns (chapter 6), and the ability to maintain networks after WWII (chapter 9). Chapter 8, with section 7.4, compares Canadian experiences to forced and voluntary migration within wartime and postwar Soviet Ukraine and the USSR. Untangling the abovementioned chapters from the awkward overall structure reveals the common thread running through Kaltenbrunner’s relational migration history. Why a twelve-page, two-part fourth chapter on divergent Jewish migration experiences should split thematically and chronologically linked chapters is unclear. Likewise, the mass of victims’ narratives on Ukrainian villagers’ wartime experiences (chapter 7) neither significantly furthers the central argument nor convincingly addresses the critical significance of when autobiographical sources were produced. As bringing the story of “difficult memory” (section 7.5) up-to-date makes evident, regimes of memory shift regularly. The author masters the vast source material most effectively in chapter 9, teasing out entangled tragic and everyday postwar experiences. Geographically and ideologically divided families still cooperated, bringing the latest Western fashions, from headscarves to jeans, to rural Galicia, while Ukrainians’ gifts helped maintain attachment to the homeland across the Atlantic and generations. The compelling migration and diaspora history in sections 9.1 and 9.2 reveals the Iron Curtain’s flexibility as transatlantic visits increased from the early 1960s. As in sections 5.1 to 5.3 and the brief third and eighth chapters, the dynamic mentalities and reflexive practices of both migrants and those affected by migration emerge, indicating what motivated ordinary people to leave or stay in Galicia, to return temporarily or permanently from Canada or from further east in Ukraine or the USSR. Kaltenbrunner’s concept of “Heimkehr auf Raten”, or returning home in instalments (p. 365), illustrates insightfully the mental, economic, and political barriers to and motivations for mobility following Soviet deportation, while the brief description of Soviet-era informal migration (pp. 400–402) illustrates ordinary people’s negotiated agency – a category Kaltenbrunner’s analysis avoids, mind. Generally, though, the author’s tendency to bury analysis of the central theme of kinship networks in yet more evidence prevails. Asking whether Gulag-Prisoners and deportees remained “part of their home villages’ social space” in the 1950s, rather than offer assessment yet another case study follows (pp. 361f.). Inspired by Peggy Levitt’s concept of the “transnational village”, Kaltenbrunner claims to expand her focus on “just two geographical points, namely Miraflores [Dominican Republic] and Boston” into “multivectoral networks” (p. 19). He consistently misnames Levitt’s book The Transnational Village (pp. 18f., 582), suggesting a multivectoral, potentially universal, social structure, whereas his study suggests that – to use the actual title – The Transnational Villagers’ experiences as “carriers of the global networks” (p. 539) are clearly central. Whether Kaltenbrunner’s study is “multivectoral” is debatable. The family-centred case studies point towards either North America or (other parts of) the USSR in particular periods. Socialist-oriented returnees from Canada establishing the Myhai commune near Odessa, including some from Beleluya near Sniatyn, is actually the crucial exception, rather than the “digression” (“Exkurs” 6.2) the author labels it as. Despite greater geographical proximity to Galicia, political divisions disrupted relations with the old home village, while some settlers yearned to return home… to Canada. Whether the interwar USSR was an “alternative to Canada”, as section 6.1 asks, can hardly be established through its single, four-page example. Though Kaltenbrunner stresses its methodological innovativeness (pp. 19–23), the book’s most significant contribution seems to be to Ukrainian and Galician regional history. This dominates the literature review, albeit with an admirable number of Ukrainian works. Barely mentioning migration studies, meanwhile, allows problematic terms like integration and acculturation to feature (p. 160). The brief methodological reflection stresses the importance of Edoardo Grendi’s microhistorical concept of the “exceptional normal” (p. 21). Whereas Grendi used it as a method for reading sources, Kaltenbrunner applies the concept to justify selecting the six case study sites as illustrations of the “universal” globally connected village. In a 2017 English-language article summarizing his book, Kaltenbrunner claims the “micro history of the globally connected village” is a “universal approach applicable independently of time and place.” Over the course of the study, though, the places’ particular constellation of inhabitants and concomitant unusual abundance of sources emerges (Rohatyn district, Kaltenbrunner’s initial choice, could not compete, p. 24). Rusiv, the key village, is thus more exceptional than normal. It is a site of memory in (western) Ukrainian culture thanks to its most famous son, the writer Vasyl Stefanyk and his emblematic 1900 migration novel Stone Cross. In 2007, adapting its motifs, Yulia Timoshenko made an election campaign film there promising to help families split by economic migration now largely involving women (chapter 10, esp. pp. 545–547). But the book’s analyses of earlier migration processes underplay gender-related aspects, despite the archives’ openness to readings against the grain that would highlight the exceptional normal in the microhistorical tradition. The first Galicians migrated to Canada as families, while by the mid-1920s almost one quarter of ULFTA – the Ukrainian Labour-Farmer Temple Association – members were female (807 women to 2,500 men; p. 230), demonstrating women’s active roles in organized labour, cultural and economic life. Yet, of 34 “short biographies of the [book’s] most important figures” (pp. 596–598) in an appendix to the study, just two are women. Significantly overlooked are the wives of two of Vasyl Stefanyk’s three sons and their female cousin – three women central to maintaining transformative transatlantic kinship networks, as their extensively cited correspondence shows (pp. 502–514). The Stefanyks’ family history spanned the Atlantic while reflecting Cold War divisions. One son ran the museum dedicated to his father, another served the Soviet authorities, while the third, decidedly anti-Soviet, fled to Canada in 1948. The book’s other key family were similarly politically and geographically divided: one Plaviuk brother ran a collective farm in Rusiv, the other became the final president-in-exile who symbolically handed over authority to Ukraine’s first elected president in Kyiv in 1992 (p. 472). As globally connected as any of the villages examined, Rusiv becomes central because its exceptional ‘great men’ elicited the preservation of unmatched primary materials. Paradoxically, this abundance – and the Stefanyks’ and Plaviuks’ neat correlation with macrohistorical patterns – seems to hinder Kaltenbrunner’s pursuit of his central themes using less prominent material. The advantages of bringing the story into the present are unclear. One concluding remark asks if the globally connected villages’ experiences constituted a “success story” (p. 561). In comparison to “rural Russian regions familiar from television documentaries” with one “babushka” remaining (p. 563), Kaltenbrunner suggests that remittances and transnational kinship networks have ensured Galician village life survives. However, making global connectedness the key variable overlooks that such depopulated localities were often sites of incoming migration as well as the Galician villages’ relatively good infrastructural links to regional centres Chernivtsi and Ivano-Frankivsk, making commuting (a form of migration) possible, likewise in the USSR. Stronger transregional comparison could make the book’s universal claims more convincing. Likewise, clearer explication of the book’s key objectives and elucidation of the logic behind – or simply reworking – the somewhat disjointed chapter structure would be welcome. Villagers’ and villages’ global, or at least transnational, connectedness is migration studies’ starting point. Completing their sociological masterpiece and pioneering migration history The Polish Peasant in Europe and America one hundred years ago, William I. Thomas and Florian Znaniecki established, using different concepts, that kinship networks and communication made supposedly peripheral rural spaces and populations transnationally/globally connected, leading them to experience relational transformation. Across 600 detailed though not always flowing pages, Das global vernetzte Dorf exemplifies this fact for Rusiv and nearby villages. Perhaps an English and/or Ukrainian translation would not only interest historians working on the region and the communities concerned, but could also present an opportunity to refocus the text around the core relational migration history that demonstrates migrations’ impact on the values and lives of people, families and communities across borders and generations. Tara Zahra, The Great Departure. Mass Migration from Eastern Europe and the Making of the Free World, New York 2016. Ulf Brunnbauer, Globalizing Southeastern Europe. Emigrants, America and the State since the Late Nineteenth Century, Lanham 2016. Peggy Levitt, The Transnational Villagers, Berkeley 2001. Matthias Kaltenbrunner, The globally connected Western Ukrainian village, in: European Review of History. Revue européenne d’histoire (2017), doi: 10.1080/13507486.2017.1393653, p. 3. Vasyl Stefanyk, Kaminnyi khrest (The Stone Cross), Kharkiv 2008 . William I. Thomas / Florian Znaniecki, The Polish Peasant in Europe and America, Chicago 1918–1920, 5 vols. Paul Vickers: Rezension zu: Kaltenbrunner, Matthias: Das global vernetzte Dorf. Eine Migrationsgeschichte. Frankfurt am Main 2017 , in: H-Soz-Kult, 31.08.2018, <www.hsozkult.de/publicationreview/id/rezbuecher-28164>.